Sunny Malton And Byg Byrd's New Single Deserves Respect! Shah RuLe Spat Smart Bars In "WHO?"! MC Heam has redefined conscious rap for all the Hindi rap lovers. Heam has stuck to his roots of the language coupled with his knowledge of Sanskrit and Hindu scriptures. “Kaliyug” is a track inspired by mythologies Mahabharata and Ramayana. As predicted by Lord Ram, we are in the final stage of the world where evil subsidies over everything. MC Heam released the official music video of “Kaliyug” in association with Revolt Art Technology and DesiHipHop.com. Recently, Sunny Malton and Byg Byrd collaborated on “Mrs.Sauga”. On the other hand, Byg Byrd and Jeawan Beats did the music production for the track while Rodzilla shot the visuals for “Mrs.Sauga. We all know that Sunny Malton is a beast when it comes to rhymes. In addition to his rhymes, Sunny has got a dusky voice and an impressive flow. On the whole, Sunny Malton totally murdered the instrumental and went ham on this one. This track is straight fire! 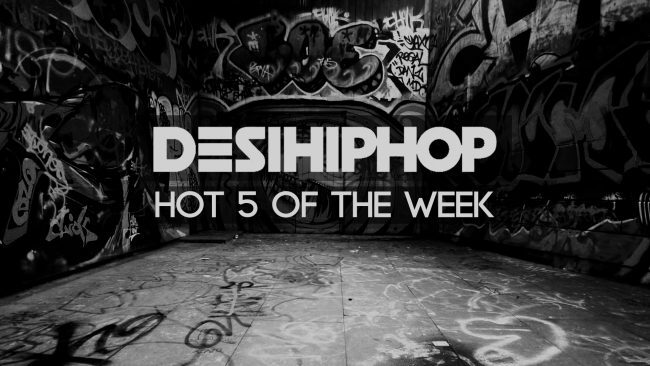 Chandigarh/Delhi-based rapper Lakshya Arora finally dropped “Bottoms Up” last week. Lakshya was earlier known as KrazyClip but has now changed his name for some reasons. “Bottoms Up”, as a matter of fact, was being delayed due to several issues including labels and technical difficulties. “Bottoms Up” is a fresh blend of alcohol, heart-break and a banger. Renowned music producer Sez produced the instrumental while Deep Kalsi recorded it and was later mastered by Sukhpreet. ShotByInflict did shoot and edit an impressive video and Raksha, as a matter of fact, looks amazing in the video. First and foremost, “Full of Life” is soothing and is filled to the brim with optimism. Diefferent opens up the track with an English verse and summarizes that one should do what he wants to and towards the end everything will fall into place. On the other hand, Ace and Ninja shared a verse and both of them dropped bars in Hindi. “Full of Life” also allowed Nasty Ninja to expose his mellow side. The video was done by Romi Kahlon who has worked with Mumbai’s Finest on several videos. “Dilli Mera Shehar” is a joint effort by Prab and D18 Studios. Prab has been working on “Dilli Mera Shehar” from 4 months and trust me, you guys won’t regret after watching this track with great visuals. The music for “Dilli Mera Shehar” has been produced by Raga and Prashant Sharma from D18 Studios. Luck-E shot the video and did the editing for the same. Basically, from this track, Prab Aoulakh wants to show the positive side of Delhi. Compared to other places, Delhi stays in the news for being the crime capital every now and then.